This is my second growth report on OliverKenyon.com. You can view my previous reports here. I’m going to use these reports to share my progress updates from both a business and a personal point of view. There are several reasons I’m doing these monthly reports, but the main reason is so that I’m publicly accountable for everything I do. The way I see it is if I put my report out there to the world wide web then I really have no place to hide. This, to me, is one of the biggest motivators that will enable me to be highly determined to become a hugely successful entrepreneur. I literally have no place to hide! Lastly, I want to inspire! A huge catalyst for creating this blog was to inspire others into the entrepreneurial route of life. I’m just a normal guy from a normal family who worked every hour under the sun as a chef in an Italian restaurant up until a few years ago, but hey, enough about me let’s get into the good stuff! I can honestly say August 2015 has been one of the most exciting months of my life so far. For some reason, everything is starting to fall into place both in my personal and business life. Although there are still lots of things up in limbo, August was the month of “negotiations” and I’m hoping September or October can be the months of “closing”. Not to give too much away, I’ve spent most of this past month negotiating deals both on a personal and business level with what we hope to be the purchase of our new home and also some exciting investments and partnerships in a business sense. I’ve been on the move constantly this month between my home office, the Lovecars office, London and Bristol amongst other places, but as I said above, if September or October would be “closing” months, then all the hard work and sacrifices will have paid off. 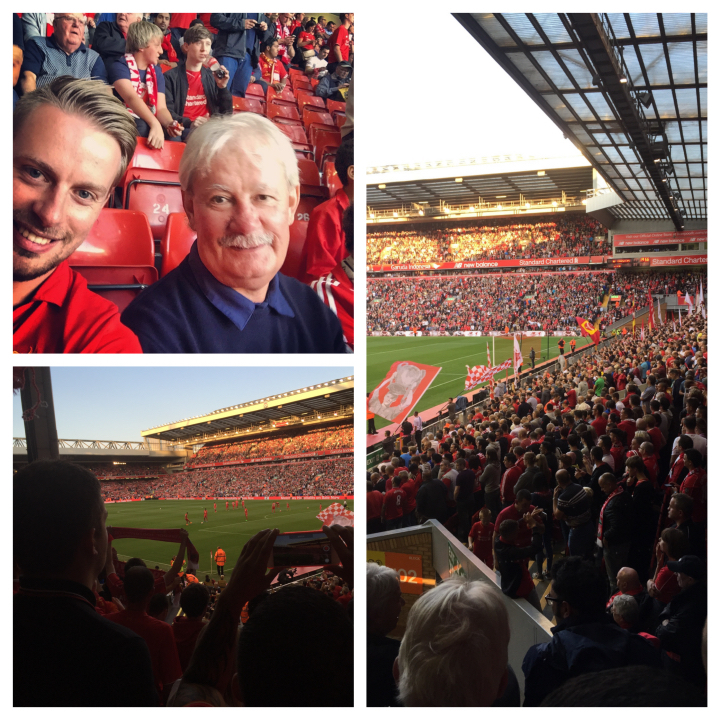 I also managed to take the old man to Anfield to watch our beloved Liverpool F.C., which I’ll tell you more about as we get into things! We were incredibly busy at Lovecars in the month of August, getting ready for our pre-launch competition that goes live this month! The whole team has been working flat out on making preparations for the launch, and the work that has gone into this project thus far is nothing short of amazing! 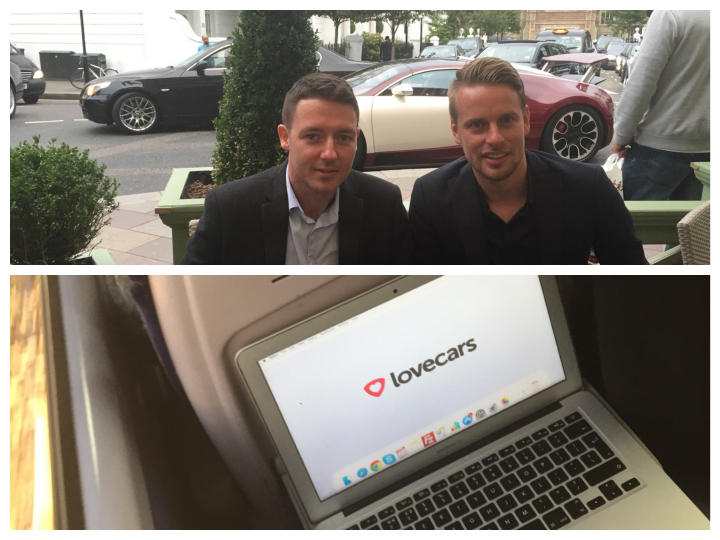 We’re a team of hungry entrepreneurs who all believe our startup will be the biggest platform in the auto space, ever! For us, it’s not a case of “if” but more of “when”, and that “when” is edging very close. I personally supervise the day-to-day operations as far as managing the designers and developers and making sure everyone is working on what they should be. This was a role I took upon myself but also one I’m most natural at, after being a self-confessed organiser with an obsession for “working to a list”. If I’m involved in something, then I have to be right at the top so I can oversee everything that’s going on. My partner, Paul, has also been working tirelessly on securing the right partners and investors to drive the startup forward once launched, and it’s been a real eye opener to be involved in many of the pitches and investment meetings. I’m definitely learning a lot from him and all the experiences I’m having with my first big startup. One quick tip I can share that I will write about properly as a blog post is that if you have to travel for work or pleasure, take the train! Following a meeting we had in London last month, I got the train home and managed to smash out two website proposals for LandingPageGuys clients, one blog post for OliverKenyon.com, and a business plan for a consultancy client in the space of two hours! One VERY exciting thing in August is how well our social media is rapidly progressing. We are currently averaging 40,000 new people a week on our Facebook page and are also seeing some great results across Instagram and the other platforms. This month is the biggest yet for the company as we plan to begin our pre-launch sign up competition, so stay tuned and make sure you follow us on Facebook! Another great month on the forums! I mentioned in my July edition of Growth Update Reports that I had hired Roger as a full-time forum manager for FixForums. Those of you on the forums may have seen him posting and moderating. Things are going well with Roger, and he has started his recruitment and expansion drive on EntrepreneurFix. With forums, it’s always more of a marathon than a sprint to start, and it often takes several years to establish a brand and a forum if done the correct way. This is something I’m VERY committed to and will be working on with Roger over the next several months. August brought some good growth in both AffiliateFix and EntrepreneurFix, but as I mentioned last month, our main focus now is to formulate a plan with Roger in order to establish EntrepreneurFix. We are currently drawing up some strategies and looking to possibly add more staff members to the forums, along with some proven recruitment methods that Roger is formalising. Last month also saw an exciting upgrade in forum software released by xenForo. Ever since switching from vBulletin several years ago, I have nothing but amazing things to say about xenForo, and their latest update didn’t disappoint! Even though our FixForums boards are highly customised, we were easily able to update the software and will be putting the new features to use over the coming months. In the month of August on AffiliateFix, we continued to do something that no other affiliate forum has done. Alongside our sponsor Mobicow, we gave away another $500 to a lucky winner, RVFamily! That’s now over $2000 we’ve given away together, and it’s resulted in some incredible new content being generated from the competition in the guides, follow alongs, and success stories forums, not to mention the lives the money is changing. Mobicow also offers our members an incredible coupon to sign up with them which enables me to earn a commission from Mobicow. I managed to write up how I’m able to dominate private affiliate offers like this one in this post on the blog last month. which we believe is also true! All is well with LandingPageGuys in the month of August, which was a pretty routine month. Since rebranding to LandingPageGuys, which you can read about here, we’ve yet to have a “quiet month” which I am VERY aware of and thankful to our clients and staff for. The affiliate industry has been through a tough transition the past few months, going from advertisers creating trial products and having affiliates cash in on the pricing model, to the FTC coming down hard on them and MIDs becoming harder and harder to find! What we HAVE seen is many advertisers switch back to straight sale and subscription model type pricing and have certainly seen a large increase in straight sale funnels over the past month, which we are experts at doing! We managed to cement an exciting partnership agreement with what we believe to be the best CRM in the industry, LimeLightCRM. After years of integrating different client funnels with the CRM, we now have a great relationship with Rick, the CEO, and can introduce our clients to him directly to ensure all LandingPageGuys referrals are taken care of by the best. 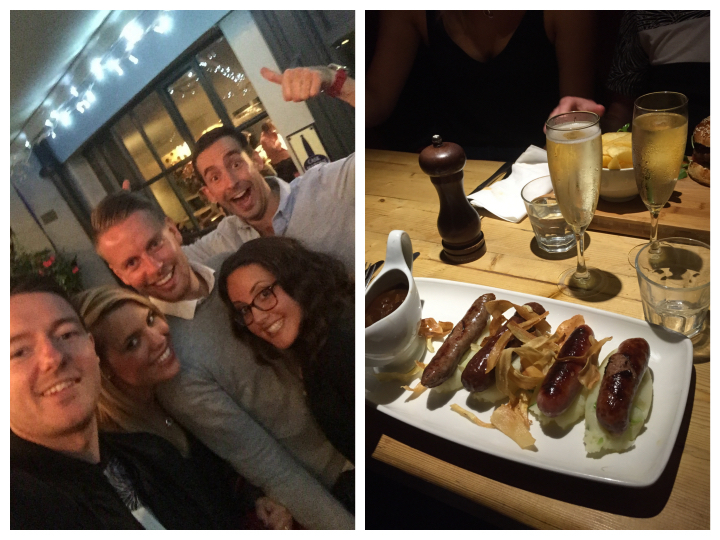 We were also able to hit a monumental target for the amount of clients we’ve worked with in August, which resulted in my business partner Andy and me taking our partners out for a nice meal in Bristol to celebrate! One big noticeable change is the way in which Google now ranks our business site, as we currently get 5-10 leads a day from new clients as opposed to half that in the month of July. This is likely due to several industry professionals and companies mentioning us on their blogs, sites or rolodexes, including Forbes. So two months in and I must say I’m seriously enjoying this new part of my business! It’s seriously refreshing to get everything that you’ve built up over years, months and weeks in the back of your mind out on paper (well the net!). I’ve already learned a lot about myself, my businesses and how I can help and be helped by doing these blog posts. It’s only my second growth report but I already feel like a weight has been lifted off of my shoulders as I sit here and write this. I’m truly able to get a bird’s-eye view on my own business, and as I mention in the intro to these, it’s very motivating to put it all out there and be fully accountable for your own actions. 3 Rules to Dominate Private Affiliate Offers! Why I now run EVERY DAY! One of the nicest and motivating things for me is to see how well the posts and content has been received! I was able to dominate the popular affiliate aggregator AffPosts last month with every single post I made, which just shows people are interested in what I write and do! As silly as it sounds, one of the most rewarding things to me is when someone comments or shares one of my posts, so I’d kindly ask if you’re reading this and it’s inspired, helped or even the opposite, then please continue to comment on the post below and give it a share! Please continue to support and spur me on, and thanks to everyone for your kind words! Last month I mentioned how I have now got into my fitness in a big way! In August, I managed to more than double the amount of runs I did in the month of July. 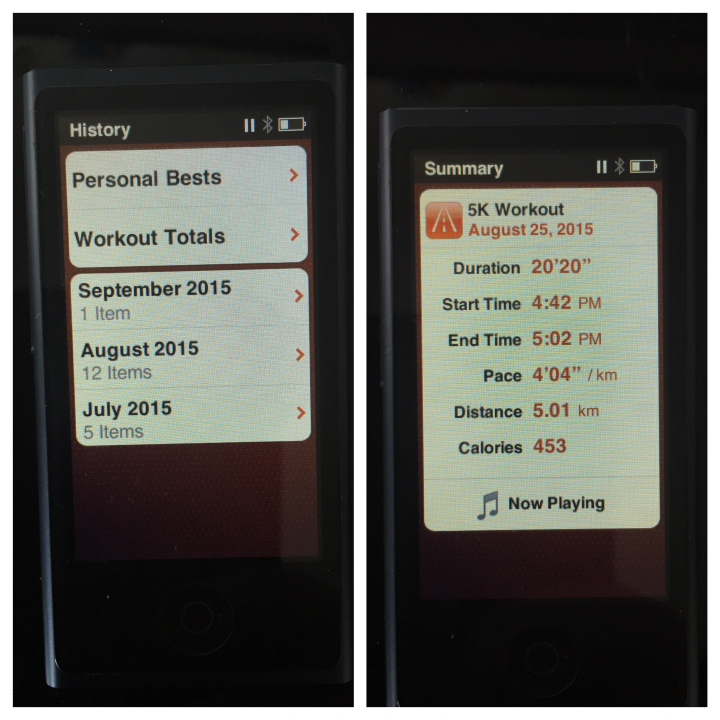 I also managed to go from doing 3km runs each run with one 5km each week to now doing only 5km runs! I also managed to beat my previous month’s fastest 5km run time of 21”44” running it in August in 20”20”, which I’m very happy with! My target for September is to run 5km in under 20 minutes and also to start introducing a 10km run each week into my schedule. I also attend a circuits class each week and now play football once a week, meaning I exercise every single weekday, which in return has given me far more energy and confidence, and I’m starting to look in shape again! As mentioned above in the intro, I also managed to agree on a purchase of a new property for me and my partner (and Dennis whom you can see here)! I don’t want to give away too many details yet as we’re still going through legals with solicitors and anything could still happen, but if I get those keys I will feel so proud of what I’ve managed to achieve in the past year or two. When I think back to my days as a full-time chef earning £15,000 a year and barely having a penny to my name, it puts it all in perspective. One last thing that I was really pleased I got to do in August was to visit my beloved Liverpool F.C. at Anfield with my father. There’s something about going to the game with your Dad that can’t be replicated with mates or anyone else! My Dad has always been a Liverpool fan as he was born there, and I have also been a lifelong Red. We watched them play Bournemouth on the first home-game of the season and it was great to be back at Anfield, as I didn’t manage to get tickets last season, although I tried really hard. We didn’t play too good but got the result in a 1-0 win, and it was great to be back “home” with my Dad! Thank you again to everyone who took the time to read my growth report and thank you for your continued support and responses! As I said above i’m really hoping September/October will be the month of closing out deals and personal ventures so be sure to keep checking back for updates!